Prof. Ashwini Kumar Nangia, School of Chemistry, University of Hyderabad took over as the eleventh Director of CSIR-National Chemical Laboratory (CSIR-NCL), Pune. He obtained M.Sc. in Chemistry from IIT Kanpur in 1983. He worked under Frederick E Ziegler at Yale University for his Ph.D. on the total synthesis of sesquiterpene natural products via a stereoselective Claisen rearrangement route. Mr HK Mittal currently heads the National Science and Technology Entrepreneurship Board, Department of Science and Technology, Government of India. Shri Mittal has over two decades of experience in technology based entrepreneurship development; skill development; trainers training and faculty development; establishment of entrepreneurship development institutions like institutes of entrepreneurship development at the state level, Technology Business Incubators, Science & Technology Entrepreneurship Parks, Entrepreneurship Development Cells in the educational institutions; development of micro-enterprises; working for income generation activities for underprivileged sections like: women, scheduled castes/tribes, physically challenged etc. Mr Mittal is an alumnus of the Indian Institute of Management , Ahmedabad. 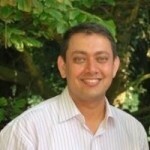 He has previously worked with the Entrepreneurship Development Institute of India - Ahmedabad and also served with UNIDO. Pramod Chaudhari, is Executive Chairman of Praj Industries Ltd. Praj Group is global provider of end-to- end Technology and Engineering solutions for Bio-Energy, Bio-Chemical and Bio-Pharma industry, with strong backing of world-class state-of- the-art R&D Center called, Praj Matrix. As a first generation techno-entrepreneur, he founded Praj in 1983. He dreamt and developed Praj into a world-class engineering company specialized in Agri-processing opportunities. With strong belief in principle of triple bottom-line, his business model is inherently scalable, replicable and sustainable. 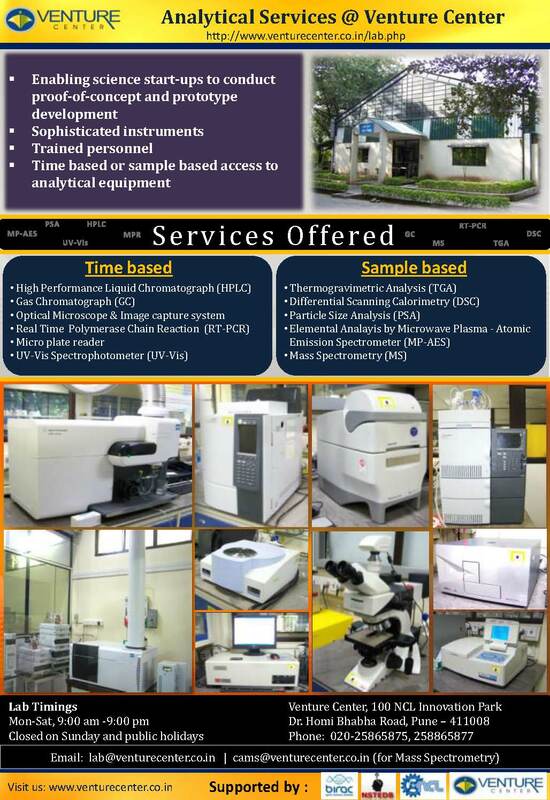 Praj fostered the emergence of advanced technologies in certain Bio-Energy and allied space. As India's biggest Biofuel Technology company, Praj has in excess of 750 footprints in over 75 countries, across five continents. Under his leadership, Praj has successfully launched India's First Integrated Bio-refinery Demo for Renewable Fuels & Chemicals, based on indigenously developed 2nd gen technology. Deeply passionate about environment, Pramod is committed to develop clean and green technologies. As a champion of the powerful premise that 'Innovation and Entrepreneurship can change the world for better', he has been a tireless crusader in propagating spirit of entrepreneurship and intrapreneurship. 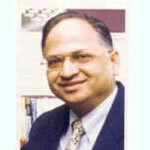 Pramod Chaudhari is a 'Distinguished Alumnus of IIT Bombay (1971)' and an alumnus of Harvard Business School (AMP 1995). 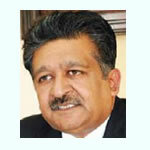 He has been associated with many eminent organizations holding responsible positions from time to time. He has received many awards and recognitions for entrepreneurship and excellence. Mr Anand Kusre has over 30 year's experience in commercial and development banking. He has been responsible for formulation and implementation of national and international programmes aimed at development and commercialisation of new technologies. He has been associated with more than 250 companies and technology institutions engaged in development of innovative products and processes including large number of first generation entrepreneurs. Currently, Mr Kusre is Professor of Innovation and Entrepreneurship, Shailesh J. Mehta School of Management, Indian Institute of Technology, Bombay. In addition, Mr Kusre is Chairman, MITCON Consultancy Company Limited. Mr Kusre is actively engaged in the fields of Innovation and Entrepreneurship being Member, Governing Board, Entrepreneurship Development Institute of India and Member, High-Powered Committee, New Millennium Indian Technology Leadership Initiative. Dr. Krishna N Ganesh did his Ph.D (1976) in Chemistry at Delhi University (Guide: Prof GBV Subramanian). He was awarded a Commonwealth Fellowship to pursue higher studies University of Cambridge, UK which resulted in a second Ph.D degree to him in 1980 (Guide: Prof JKM Sanders). 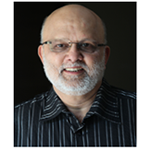 In 1987, he moved to National Chemical Laboratory, Pune to establish a Bioorganic Chemistry research group. He became the Head of Organic Chemistry (Synthesis) Division in 1994. During his tenure at NCL till 2006, he was involved in policy development, resource generation and design, execution and evaluation of institutional research programmes in Organic Chemistry. 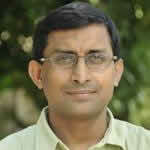 Currently he is the Director of Indian Institute of Science Education and Research, Tirupati. 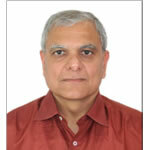 He was previously the director of the Indian Institute of Science Education and Research, Pune. Dr Dash is Director Impact Lab at PATH India with the mandate to propel innovations in public health emerging from India to the next level. Formerly as Head Strategy Partnerships & Entrepreneurship Development at BIRAC (the nodal Indian biotech innovation agency) & as the 'Co-ordinator' of Make in India Cell in BIRAC- his portfolio included overall strategy formulation & implementation for BIRAC, early stage funding, biotech incubators, and business development & communication. He is also a Consultant (pro-bono) to KBITS, GoK advising on Biotech Policy 3.0. 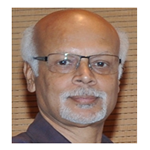 Previously he was a Senior Consultant at IIM Bangalore & COO of nodal biotech industry association- ABLE. While at BIRAC, he designed and implemented more than half a dozen national programs such as Biotech Ignition Grant-BIG (India's largest early stage biotech startup funding program), SPARSH (social innovation program), BioNEST (incubator program), University Innovation Cluster (UIC),SoCH, SEED Equity & AcE equity funding. 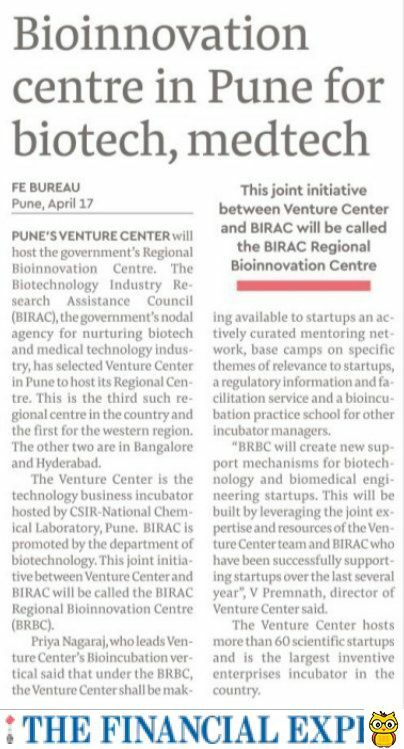 He led the establishment of BIRAC Regional Innovation Centre (BRIC) at IKP Hyderabad & BIRAC Regional Entrepreneurship Centre (BREC) at C-CAMP. In 2017, he was part of the GoI's Industrial Policy (Technology & Innovation vertical) deliberations. He holds triple masters from University of Leicester (UK), Cambridge (UK) and Sambalpur (India) and a PhD from University of East Anglia, UK. His interests are in S&T policy design, implementation and outcomes, business of science, early stage funding, entrepreneurship, and catalysing for positive serendipity across innovation communities. Dr. V. Premnath holds a B.Tech. from the Indian Institute of Technology - Bombay and a Ph.D. from the Massachusetts Institute of Technology, USA. He has also been a Chevening Technology Enterprise Fellow with the Centre for Scientific Enterprises, London Business School and Cambridge University, UK. He brings with him considerable experience in technology development and commercialization (two successfully commercialized families of products), working with start-up companies (in Cambridge-UK and India) and engaging with large corporations on research and consulting projects as project leader.